Apple has asked suppliers to manufacture between 70 million and 80 million of its two forthcoming large-screen iPhones by the end of the year, its largest initial production run of iPhones, the Wall Street Journal reported, citing people familiar with the matter. Its forecast for the iPhones with 4.7-inch and 5.5-inch displays is much larger than the initial order last year of between 50 million and 60 million for iPhone 5S and 5C models, the people told the Journal. Foxconn and Pegatron plan to start mass producing the 4.7-inch iPhone model next month, and Hon Hai Precision Industry, whose parent is Foxconn, will begin making the 5.5-inch version exclusively in September, the people said. 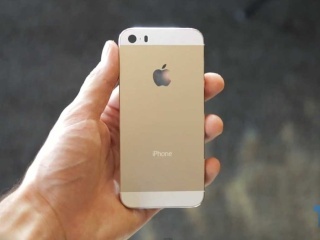 Both iPhone 6 screens will be larger than the 4-inch panels on Apple's existing iPhone 5S and 5C models. The new phone models are also expected to feature metal cases similar to the iPhone 5S and likely come in multiple colors, the people said. Both iPhone 6 screens are expected to use in-cell touch panel technology, built into the screen and allowing for thinner construction than with standard touch panel films, that was introduced with the iPhone 5, sources told Reuters in March. To factor in the possibility of a higher failure rate for displays, Apple has asked component makers to be prepared to make up to 120 million iPhones, the people told the Journal on Monday.